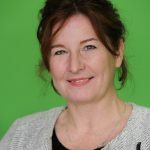 Dr Rhona Anderson is a Senior Lecturer in Radiation Biology in the Department of Life Sciences and, a member of the Institute of Environment, Health and Societies, at Brunel University London. Rhona started her career as a clinical cytogeneticist in Glasgow in 1994 before developing her research in radiation biology at the Medical Research Council Radiation and Genome Stability Unit, Harwell (1996-2005), gaining her PhD in 2004 and joining Brunel University as a lecturer and group leader in 2005. Rhona’s research interests encompass understanding mechanisms of chromosome rearrangement and other cellular consequences after radiation exposure with a particular emphasis in the characterisation of complex chromosome aberrations as qualitative biomarkers of exposure to high-LET -particle radiation. This work has relevance for addressing health-related questions concerning exposure to environmental (radon gas), occupational (nuclear) or medical (radionuclide) sources. Rhona has led and managed a number of radiation protection projects (PI/Co-PI) (DOH RPR Grants) and is currently leading the NCCF-funded Genetics and Cytogenetics Study. She acted as an expert witness at cross-party parliamentary enquiry into ‘Health effects of Nuclear Test Veterans’ (2007), chaired the Association for Radiation Research (ARR), UK (2012-2014), is currently serving as the ARR Councillor of the International Association for Radiation Research and was appointed an Honorary Member of the Royal College of Radiologists (2017). She is or has been main or joint supervisor for 7 Ph.D. students.